Since you are doing the hair coloring at home, the safest approach is to choose a color that is about a shade or two darker or lighter than your natural hair color. 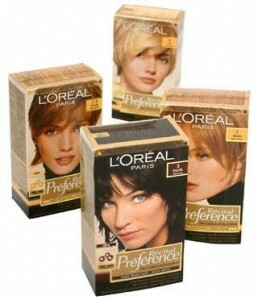 In the salon, the right mixture of colorant and peroxide is carefully measured and controlled by the salon staff. However when you buy a commercial hair coloring preparation, it is already premixed so there is no way for you to control the amount of peroxide it contains.